Aster ‘Ostrich Plume’ with spent Scabiosa seed heads and Dill. Higgledy Flower School 2016. #19. 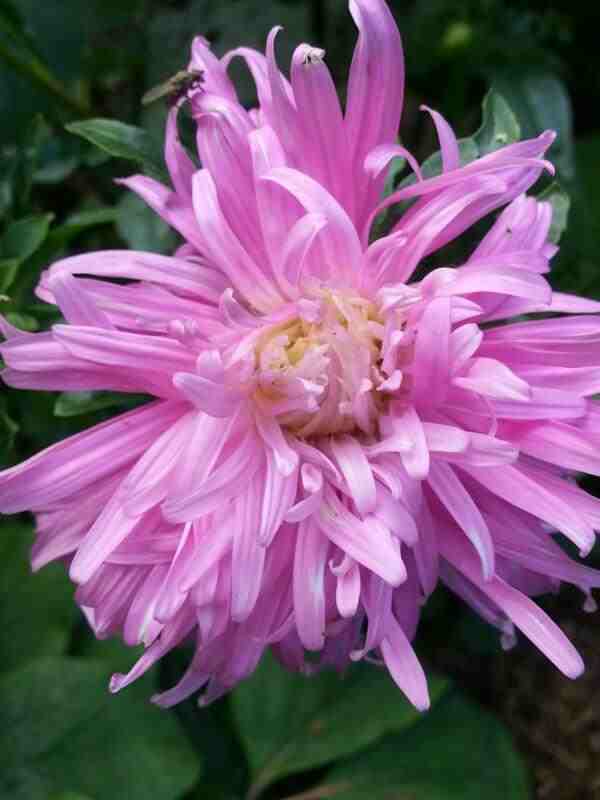 Aster ‘Ostrich Plume’. 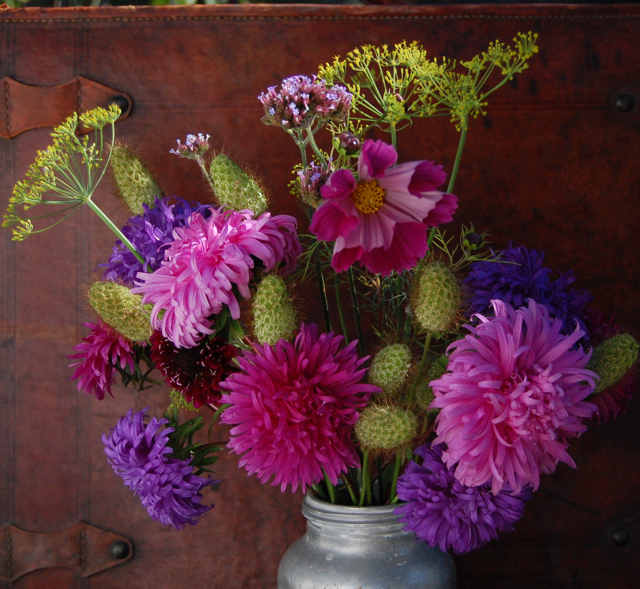 Aster ‘Ostrich Plume’ is a one man stand up show…I was really unsure as to whether to stock the seeds in the shop as I thought folk might think it was just too flouncy and too quirky to be taken seriously in the cutting patch. The truth is however than when I did start to stock it…it has always sold very steadily. I think ‘Ostrich Plume’ sits quite well within the new arts and crafts movement, which has itself proved to be full of humour and quirk. ‘Ostrich’ has that post modern ironic vibe about it. Link: Higgledy Flower School 2016 Hub Page. I forgot to try some in my bucket garden last year but I will give them a go this season…I suspect they will take well to containers. How To Grow Aster ‘Ostrich Plume’. *I start mine off in three inch square pots, undercover at the beginning of April. 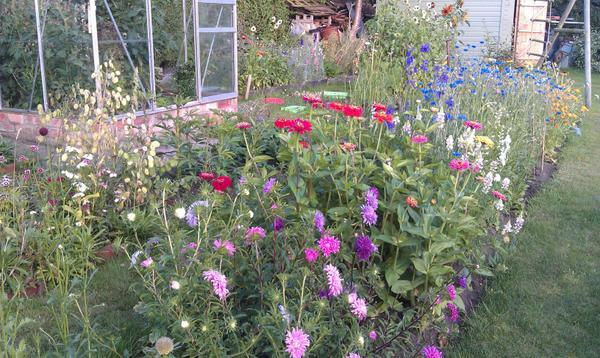 Then sow some more outside in early May (if I have space and am feeling enthusiastic). *Sow them to a depth of about 3 millimetres….a light covering in other words…don’t bury the blighters too deep. Link: How to prepare cut flower beds in spring. *Some folk sow much earlier, February and March…I think that’s too early…but experiment if you fancy. *After about six weeks and after the frosts have defo gone, plant outside a foot apart from each other. Link: What is a half hardy annual? *Make sure they are in direct sun…a little shade is OK, but not too much. *Ensure that the ground is free draining. *Mine flowered in July right through into October to a height of about 60 cm. *Dead heading will keep the little darlings flowering. If you haven’t been inspired to grow aster before then I’d recommend you give this little number a shot. It’s easy to grow, adds great late summer colour and I can assure you it will keep you amused. 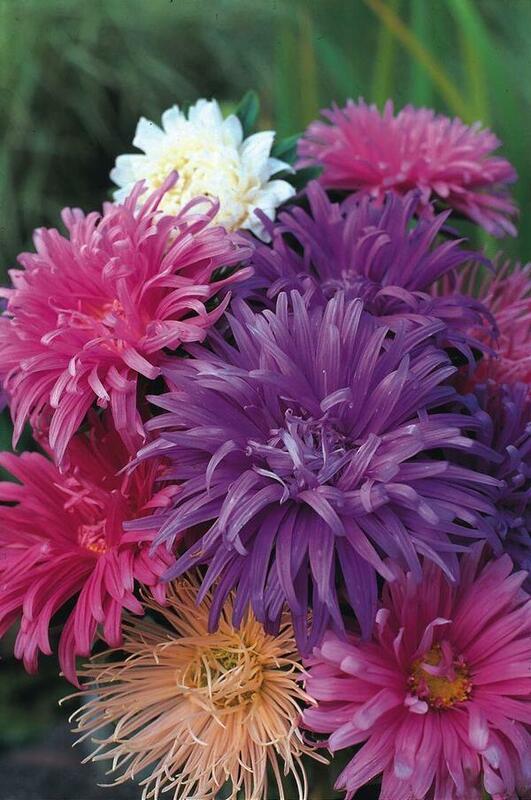 I sell Aster ‘Ostrich Plume’ Seeds at £1.95 a packet. PS Try them in a vase with Cerinthe Major or Nicotiana ‘Lime Green’…both of these will calm down the flounce and cool the colours down…should you wish…nothing ventured…nothing gained and all that. If you have any questions then please ask away…you can find me on Twitter orFacebook.Should you wish you can join ‘Club Higgledy’ (see the right hand side bar). Growing Cosmos For Cutting. Cut Flower Patch In Containers?